The Caerwylan is a friendly, privately owned 3 star hotel, situated in a unique location on the East shore of Criccieth's Esplanade. 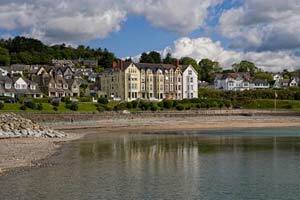 The hotel is a landmark Victorian building which faces south with stunning views over the main beach, Tremadog Bay and towards the ruins of Criccieth Castle. 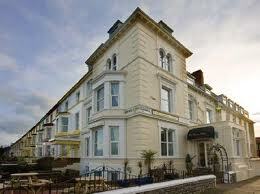 The Caerwylan probably enjoys some of the best seaside views in North Wales. Single night bookings welcome except at bank holidays. 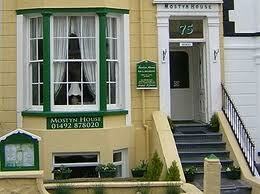 Mostyn House is ideally situated just a few yards from the sea front. 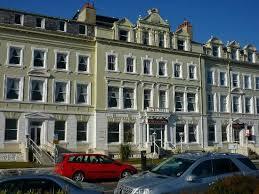 If you are planning to walk around the Great Orme this is just the place. Your host will welcome you whether you are just overnighting or planning on staying for a couple of days. There is a restaurant where you can get an evening meal, but there are plenty of facilities in the town for you to explore and enjoy. 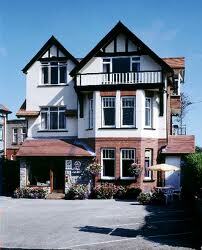 Situated right on the sea front, the Manor Hotel is well placed for overnighting, or to linger a day or so for a rest day or to walk around the Great Orme. With the facilities of the town right to hand, you can't go wrong. Your host is happy with single night bookings during the week but prefers at least 2 nights at the weekends. In addition to the 8 double and 4 single rooms shown, there ae 6 other rooms in a mixure of family friendly configurations, so if you are travelling alone, in a family group or a group of friends, there is sure to be something to suit you all. The Clovelly is right on the seafront and just right for coast path walkers. 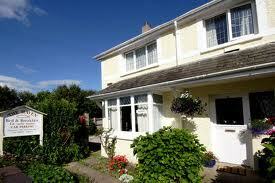 There are 12 rooms in a mix of double, twin and family accommodation. Although your host does not have a drying room per-se, there is a tumble dryer available for clean wet clothing. There are plenty of facilities in the town and if you are planning on walking around the Great Orme, then this could well be just right for you. 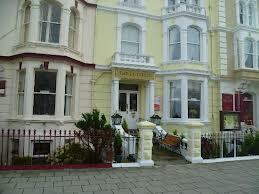 This hotel is right on the seafront and perfectly positioned for an overnight stay or for longer if you want to explore the town or walk around the Great Orme. With double, twin, single and family rooms available, there is sure to be the right combination for you whether you are travelling in a party or walking/cycling alone. Terms are room only, or with breakfast. There are places to eat within a very short walking distance and you can also purchase a packed lunch locally. This recently refurbished hotel is very well placed for the footpath so whether you are overnighting or staying longer, this could be just the place for you. Staveley House is very conveniently situated for the the coast path and your host is happy to take a single night booking except over bank holidays. So if you are overnighting, or lingering longer to rest your feet and have a look around the resort, this could be just the place for you. Lying about a quarter mile from the sea front, Bryn Holcombe can offer you a comfortable place to overnight, or to linger longer. They have a selection of double and twin rooms so there is sure to be something to suit your needs. Lying a short walk from the promenade, The Haven Guest House can provide you with comfortable and welcoming accommodation whether you are staying overnight or taking a few days to explore the area. Your hostess does not provide an evening meal but there are plenty of places in the town to choose from so you won't go hungry! 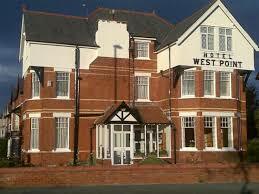 Situated very close to the promenade and coast path, West Point Hotel has a very comprehensive range of room configurations that is sure to suit you whether you are walking alone or in a party. Your host does not offer an evening meal as there are so many places to choose from in the town and if you want a take-out, you are welcome to bring that back too! Well behaved dogs are welcome at a small extra charge. 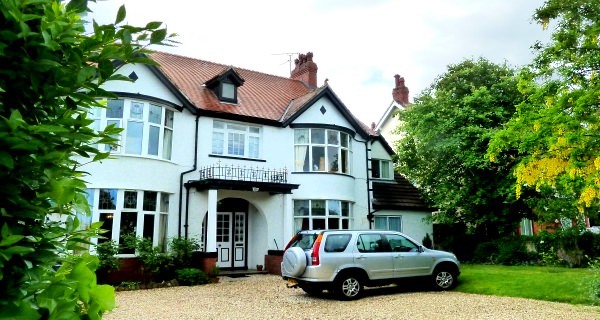 Colwyn Bay is well situated to visit a variety of the Welsh attractions so if you are overnighting or lingering longer, this could be your ideal place to stay.